Cost: Tuition $115. Member Tuition $95. Materials Fee $20. Felt is a perfect medium to capture the essence of the Adirondacks that surrounds AFS in a landscape collage. This workshop requires no prior experience and is intended to uplift your creative spirit! 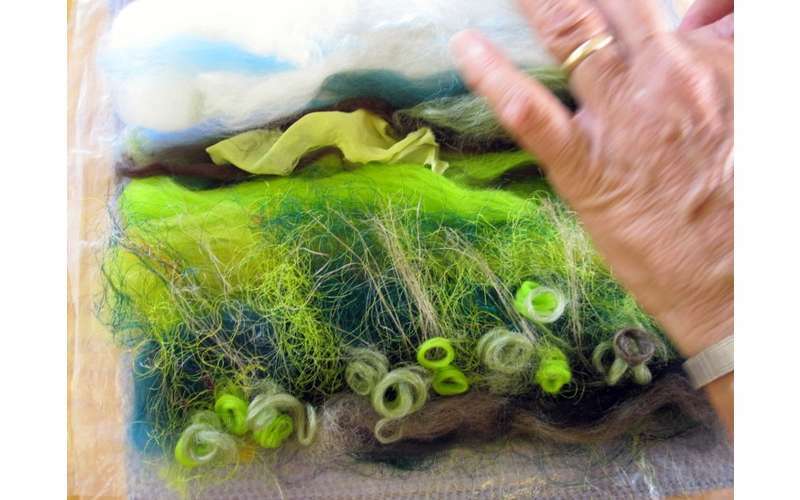 We will combine wool with natural fibers and learn a simple wet felting technique to make our felted "sketches". You will discover the unique felting characteristics of various fibers, and how to use them to their best effect for illustration. This workshop is beginner friendly!